Who go on to corrupt the morals of Catholic girls and others. I'm afraid we're not really allowed to discuss the real reason. Why do parents expose their children to such evil? Probably because there's money to be made by it. 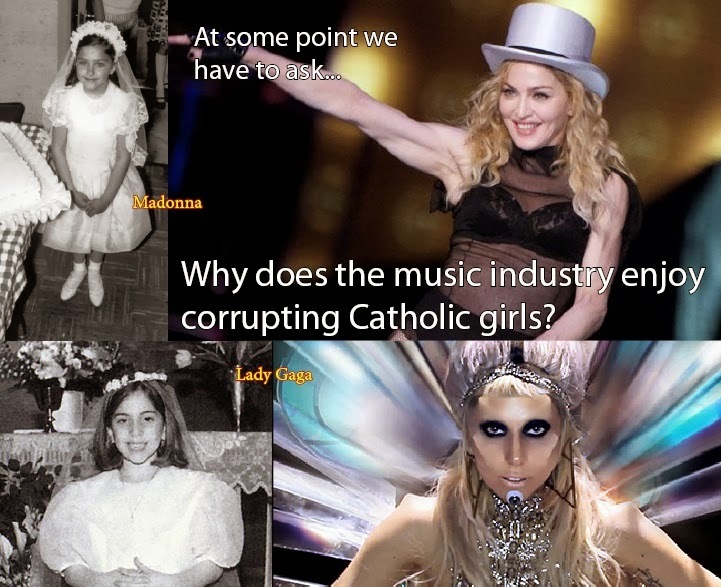 And I'm not convinced that they prefer making money by corrupting Catholic girls over making money by corrupting non-Catholic girls. It's about money, not religion.